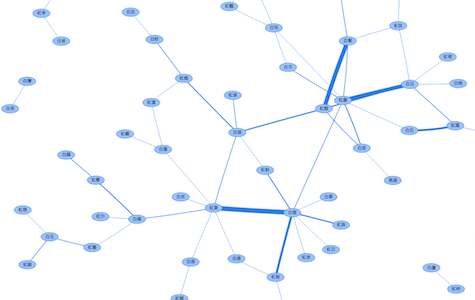 Welcome to the Chinese Text Project homepage. 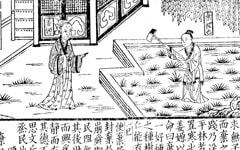 The Chinese Text Project is an online open-access digital library that makes pre-modern Chinese texts available to readers and researchers all around the world. The site attempts to make use of the digital medium to explore new ways of interacting with these texts that are not possible in print. With over thirty thousand titles and more than five billion characters, the Chinese Text Project is also the largest database of pre-modern Chinese texts in existence. You may wish to read more about the project, view the pre-Qin and Han, post-Han or Wiki tables of contents, or consult the instructions, FAQ, or list of tools. 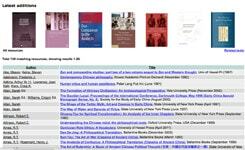 If you're looking for a particular Chinese text, you can search for texts by title across the main textual sections of the site. This site is provided as an open-access resource. If you use this site in your teaching or research, please ask your university library to subscribe. Donations are also greatly appreciated. Thanks to the support of Harvard Yenching Library, over 5 million pages of scanned materials from the Yenching Library collection have been added to the Library section of the site, including high quality images from the Chinese Rare Books Collection. Approximate transcriptions created using the ctext.org OCR procedure have also been added to the Wiki, making these materials full-text searchable. In future we hope to collaborate with other libraries to include materials from their Chinese language collections. 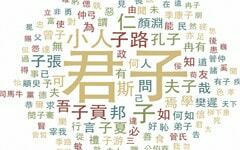 A new version of the Unicode standard has been released, defining thousands of additional rarely used and variant Chinese characters. Support for these has been added to the dictionary section of the site; to view these characters, please install the latest version of the Hanazono font. Many new characters belong to "CJK Extension E" - you can confirm system support for these from the Font Test Page. Previous technical updates are listed in the "Latest updates" forum. Please note that only major technical updates are listed here; for content updates and recently added texts (which occur daily and hourly), please log in and refer to the Wiki Recently Updated sections. by tphuynh Is it not 只 instead of 但? In order to view the Chinese text on this site, you will need to have a Chinese font and compatible web browser installed. In addition, because the ancient texts on this site incorporate many now obsolete and rarely-used characters, you will need to install a Unicode font which provides support for such characters (often referred to as CJK Extensions A through D). A suitable font is the freely downloadable "Hanazono" font; "Han Nom" also includes many (though not all) of the required characters. 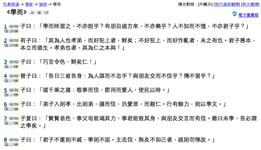 To confirm whether your system properly supports these characters, please see the Font test page. Proper support for Unicode (including so-called 'surrogates') is also needed, which may cause additional problems for users with older operating systems. The site is designed to comply to relevant W3C standards, and so should be usable in any standards-compliant web browser. However, as the emphasis on this site is on usability and not compatibility with legacy browsers, it is recommended that you upgrade to a browser with good CSS support such as Mozilla Firefox to get the most out of the site.